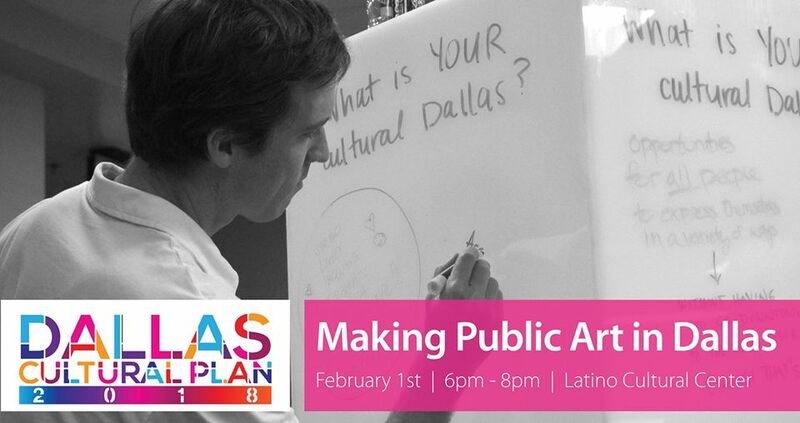 Join us for a discussion about making public art in Dallas, part of the Dallas Cultural Plan 2018. We will discuss the opportunities and barriers to creating, funding, installing, and generally making public art in Dallas. All those invested in public art in Dallas are encouraged to attend. This forum is part of the Dallas Cultural Plan 2018. Led by the Dallas Office of Cultural Affairs, the Dallas Cultural Plan 2018 will articulate a unifying vision of arts and culture, ways to implement, and a policy framework for an updated cultural policy. Once completed, it will present a practical guidebook for the City and its partners to realize this vision.